Venture with Thread Caravan to the majestic shores of Lake Atitlan, Guatemala. Nestled amongst volcanoes and renowned as one of the most beautiful lakes in the world, Lake Atitlan is the perfect place to ground yourself in nature and the tradition of weaving. 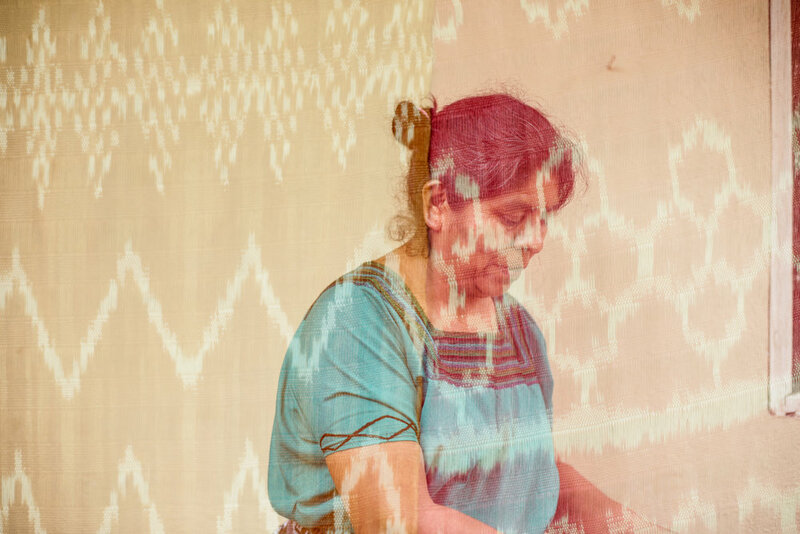 We'll take you through the full textile process - from dyeing with natural dyes, to spinning the fibers, to actually weaving a creation of your very own. 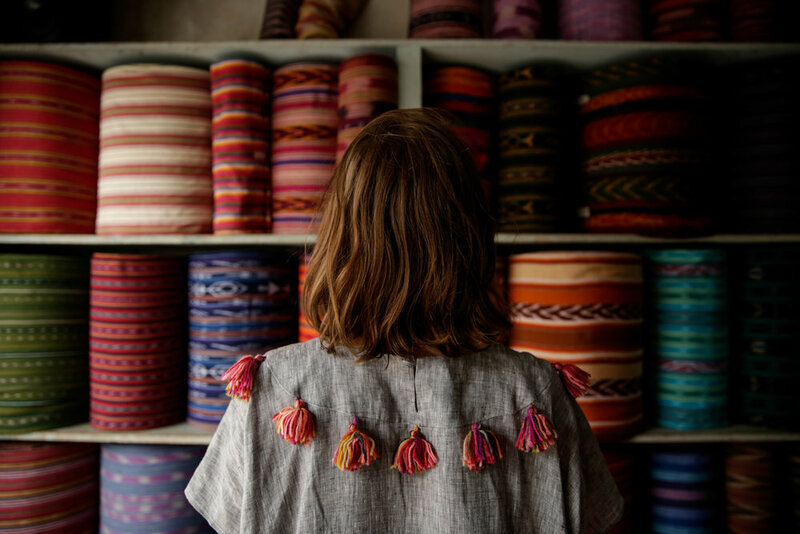 Travelers will work one-on-one with a local artisan to create a design and bring it to life. When we're not deep in textiles, we'll enjoy our surroundings: venturing to local markets, relaxing and hiking lakeside. May 5-11, 2019: 2 SPACES AVAILABLE in a shared queen bed, for a pair of people booking together. If you would like to reserve the space for just yourself, you will need to select the “private room add-on” in the payment options below. Choose your own dates! Already have a group of travelers you'd like to venture with? If you have 6 or more travelers, you can contact us to select your own dates. This option is great for work groups, craft groups, university students, bachelorette parties + more. Email us to inquire about or suggest future dates. *$100 discount if booking with a friend or partner. Contact us for a discount code. *All of the private rooms for this trip have been reserved. There are only shared rooms available now. Accommodation: Boutique hotel accommodation on Lake Atitlán and in Antigua, Guatemala. Weaving Supplies: You will be provided with the necessary raw materials and tools to create a woven textile of your very own. At the end of the workshop, you will be able to take your weaving tools (sticks and backstrap belt) home with you if you'd like. Optional Extra Excursions: Choose between a visit to a Mayan ruin, traditional Mayan ceremony, volcano hikes, making a street mural, and more. Support: A local and foreign guide will accompany the group during the trip, offering participants their combined knowledge of the country, while making sure everything runs smoothly. In addition, Thread Caravan staff is available to answer questions and assist with trip preparations beforehand. Carbon Emissions Offset: We’ve partnered with Trees for the Future to plant 50 tress on your behalf in order to offset the carbon emissions of your travel to Guatemala. In addition, there is an option to add a $50 donation to Trees for the Future at check out. Personal Travel Insurance: We strongly encourage all participants to have personal travel insurance. This will cover things like illness, flight cancellations, theft, etc. We can suggest providers if you’d like. Expenses During Free Time: We will have a little bit of free time at the end of each day. Some guests choose to use this time to relax; however, if you’d like to arrange any activities, we are happy to help you coordinate things like transportation to a nearby town, a guided hike, private massage, etc. All activities doing free time are at the expense of guests. The Thread Caravan Guatemala weaving workshop starts and ends at the La Aurora International Airport in Guatemala City. You get there and we'll handle the rest. If you need help booking a flight, please contact us. Physical Abilities: During this trip we will be walking on uneven cobblestone roads, climbing into and out of boats from the dock and walking on steep hills (sometimes with many steps, sometimes with a paved incline). If you think any of these tasks will be difficult for your physical abilities, please contact us to see if we can accommodate you.